To make this beautiful rose apple pie first you have to make pie crust dough with butter, sugar, egg, vanilla essence, orange zest, ground almonds and flour. Knead the dough well and line it in a pie dish. Then prepare the cream filling with milk, egg yolks, vanilla essence, sugar, orange zest and flour. Pour the cream over the pie crust. Then core the apples and cut them half. 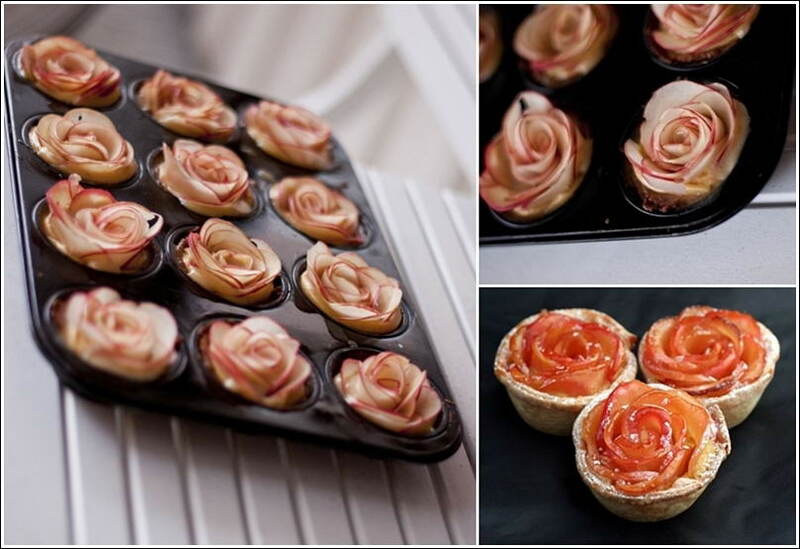 Cut thin slices and roll the slices in an overlapping manner over each other to make the roses. As you make each roses put it over the cream filling and make rows of apple roses. Bake the pie in oven until golden. 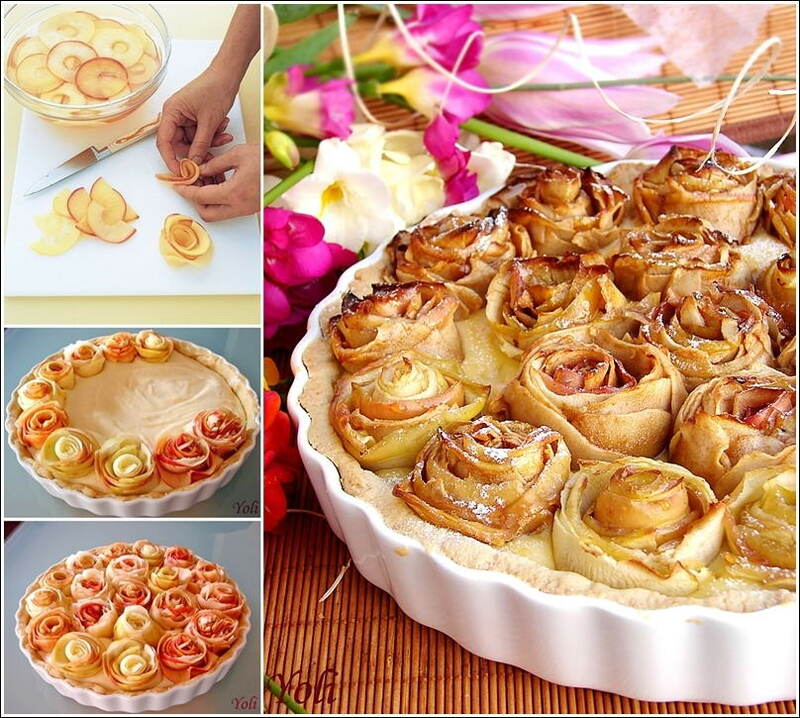 You can try mini versions of this rose apple pie too like these. Find out more about this recipe at Yoli. Enjoy baking!